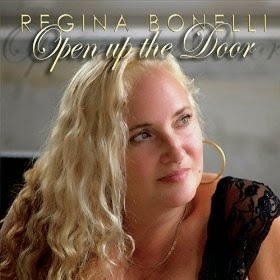 I just received the debut release, Open Up The Door, from Regina Bonelli and it's springy, bluesy and fresh. 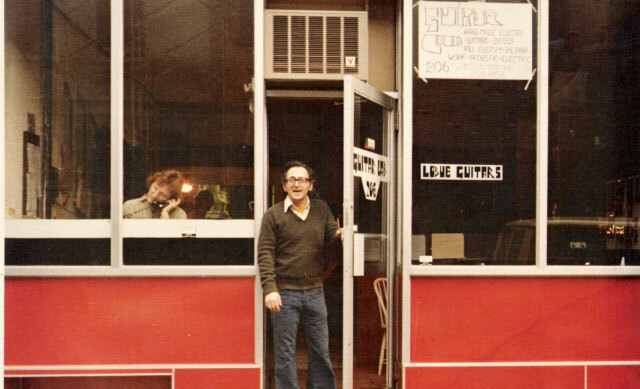 Title track, Open Up The Door, is a fusion of country, pop and blues. Vocalist Bonelli accompanies herself on piano with super guitar man Michael Hill adding some real nice riffs. 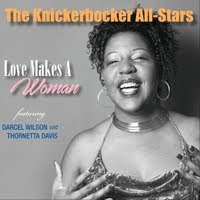 Swing jazz track Cybersex Blues has a fuller arrangement including David Barnes on harp, Mike Griot on bass, Bill McClellan on drums and Hill on guitar. Rich vocal doubling harmonies add to the richness of the mix. Bluesy ballad, Mystical Love, is a nice vocal showcase with an excellent guitar solo by Hill. The bass lines by Pete Cummings on this track really hit hard and Bonelli's organ work is cements the track. R&B flavored Mama Raised A Sweet Thing has a real nice feel. Memphis style backing and hot guitar riffs take this track to the next level. 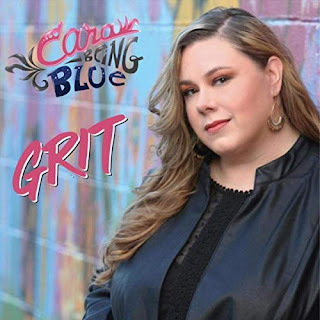 Shuffle track, Daddy I'm A Big Girl Now may be my favorite track on the release with a sassy vocals from Bonelli and stinging guitar riffs from Hill. Soul track, Single Mother, Single Life is a really nicely written track with a tight melody and keyboard, bass and drums by Kevin Hill. Michael Hill takes advantage on the tempo slashing through with some really sweet guitar riffs. Very nice! I Fell has a mix of R&B and Latin influence. Cummings again lays down a nice bass line and McClellan is tight on the drum and Hill's guitar riffs add a really slick feel! Can You Fill His Shoes has a little funk and a nice swagger. Bonelli's vocals shine on this track and Michael Hill on slide guitar is icing on the cake. Blues ballad, Usin', has a strong grip and Bonelli uses the stage to give it a good shake. Michael Hill steps up with my favorite guitar break on the release adding to one of the most memorable tracks on the release. Wrapping the release is Very First Day with Michael Hill joining Bonelli on vocal. An easy paced track with tight slide and acoustic guitar work, paired with light percussion gives Hill and Bonelli a great platform to sew up a very nice debut release.